At Homestead Fencing, Colorbond fencing is one of our most popular products. Colorbond fencing comes in a huge range of colours, is durable and looks great from both sides of the fence. One of the greatest features of Colorbond fencing is that it is easy to keep clean and looks great for many years. The product is specifically designed for tough Australian conditions withstanding our hot summer sun. We are often asked by our customers once the fence is installed and looking great, how to keep it that way. In the Northern Rivers we are lucky enough to have regular rain which is usually enough to keep our Colorbond fences clean and free from debris and salt spray. However at Homestead Fencing we do recommend you give your fence a wash down with clean water every 12 months. If your fence is under cover you may need to wash down the fence every 6 months. Shade from trees or buildings may cause mould, or a build up of dirt and grime to become visible on your fence. If this happens you can use a soap solution to wash down the fence applied with a sponge or soft cloth. A non-abrasive kitchen detergent is perfect and something you are bound to have in your kitchen cupboard. Remember to always wash off the soap with the hose. 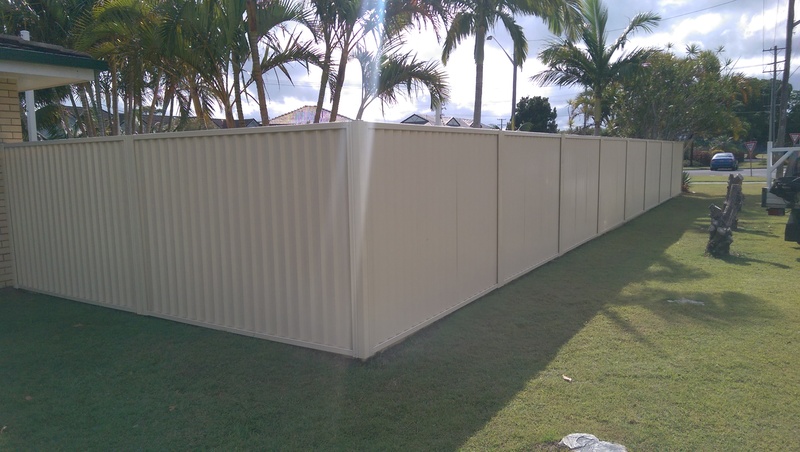 Other advantages of Colorbond fencing over other materials is that it never needs painting, oiling, or palings needing to be replaced. If you would rather be at the beach than maintaining your fence Colorbond Fencing is for you. Remember to keep your fence free from debris and salt spray and your Colorbond fence will last for many years to come. If you need any advice regarding your existing Colorbond fence or are interested in us quoting on replacing your old fence with a new Colorbond fence feel free to contact one of our helpful team at Homestead Fencing on 02 6622 2886.